the environmental working group (ewg) put together its radiation level ratings of cell phones for 2010 which provided some not so amusing results. with motorola droid users using one of the most powerful phones on the planet, i can’t say that i’m completely surprised at these results, but it is a little scary to see our baby at #2 for highest radiation level. 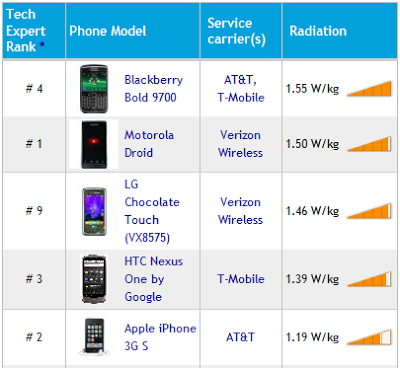 and if you go with the expert rankings, you will find the droid at #1 with the iphone and nexus one just behind it. to see the rest of the rankings you can read more here.